Do you want to start your Morning or Evening MBA at Rotman this September? Time is running out – get to it! Morning MBA 2017 student, Bojan Grabovac, spoke to us about his experience as a late applicant and came up with some useful tips for you to complete your application in time. Get started so you can have a chance to be the new addition to the Morning & Evening MBA class of 2018. Hello Bojan! Thanks for taking time to speak to us. As we are reaching the tail-end of application season, we want to hear about your experience as an applicant and how you managed to complete the application in just one month. One of the reasons for my late application last year was that I took my time to figure out if the program was right for me. 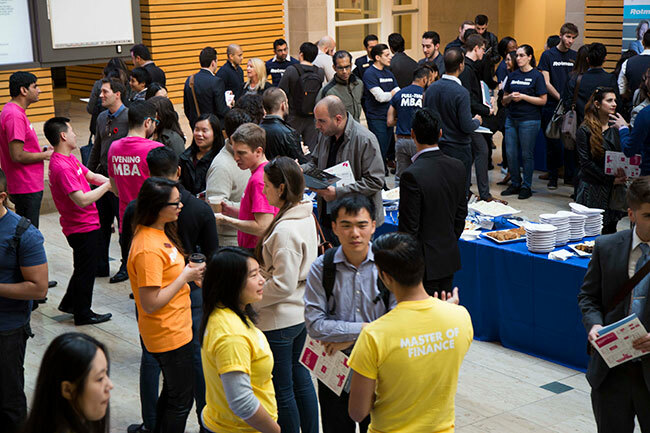 I was already convinced that I wanted to pursue an MBA, but I wanted to be absolutely confident that Rotman’s Morning MBA was the right fit for me. During the year I took my time getting to know the school, joining class visits, and researching everything the program had to offer so that I could make an informed decision. Applying at the later stages though meant that I had less time to prepare my application. However, at least for me, I needed the time pressure to just get it done. I think having just a month to complete the application gave me the necessary urgency to organize myself. There was still time to complete the GMAT after the application is submitted. Rotman’s admissions team was also amazing at turning around and giving me feedback — learning whether I’ve been accepted or not. Were you concerned that your application would be part of a final round of admissions? I wasn’t concerned enough to dissuade me from applying. Obviously, I had some concerns about whether the class was full or whether there’d be any awards left. But I already knew I wanted to do an MBA and I wanted to get it as soon as possible. I had to think positively and had to remind myself that if I got in, then I’d be a year ahead in terms of reaching my goals. How did you manage? Were there any specific strategies that helped you complete the application successfully and on time? I knew I only had one month, so my first step was to get simpler items out of the way. For example, I wanted to get the transcripts and references done as fast as possible. This way, I’d have more time to focus on more challenging aspects of the application. For the GMAT, Rotman offers useful GMAT events like mock exams, verbal and math refreshers that can help you prepare for the exam and get a good score. * I took advantage of the free online exams to understand where I stood and where my weaknesses were. Once I had a clear picture of my weak spots, I started focusing on practicing and preparing for these areas so that I could improve my score on the GMAT and my chances of getting in the program. Keep in mind that you are not required to complete the GMAT before submitting your application, you can do so after, which gives you a little extra time to prepare. Do you have any pieces of advice for other applicants in a similar situation? First, I’d suggest to try to eliminate all speculation and talk to the recruitment team. They are always ready to help. Not only can they answer burning questions, but they can also help arrange class visits so you can see for yourself whether you can see yourself as a student at Rotman, and offer help with a GMAT course. Also, if you are sure that you want to do an MBA, don’t delay! The faster you get it done, the more time you’ll have to reap the benefits of this degree. I know for myself, once I made the decision I wanted to get it done as soon as possible. There is simply no benefit to waiting another year. Ready to apply? Have questions? Contact us, visit our Morning & Evening MBA website and start your application today! * Check our admissions events schedule often to see upcoming GMAT-related and other events. This entry was posted in Morning & Evening MBA, Morning MBA and tagged Admissions, Application Deadlines, Current Students, Part-Time MBA, Tips & Advice, Working Professionals on July 4, 2016 by Eva. Screenshot from Rotman Master of Finance video essays application. How you express and present yourself is just as important as what you say. As a finance leader, you’ll be expected to present strategies for success; along the same lines, the admission committee is looking to see if you have what it takes when it comes to your presence and ability to clearly articulate your ideas. Practice like you would for an interview, but don’t memorize a script. Much like a job interview, the video essays are trying to assess what you are like as a person and as a professional. This means that you can use similar job interview preparation techniques. Brendon notes that practice helped him calm his nerves during the video essays. Nonetheless, Daanish Afzal (MFin 2018) reminds us that you should definitely not memorize a script. After all, the video essays are evaluating your ability to think on your feet and communicate effectively. Instead, he suggests to focus on key points you want to highlight and how you’d like to relay this message. Get used to a recording environment. Last but not least, all students agree that it is essential to get comfortable with a recording environment. Brendon mentions that in order to get rid of the strange feeling of being recorded, he set up his own recording environment and practiced several times through dry runs to get used to it. Jessie points out that you should definitely check for any hardware and software malfunctions. Just imagine starting the video essays and your computer running out of battery! Following these tips will sure help you ace the MFin video essay. If you have any questions on concerns don’t hesitate to contact us or visit our website. This entry was posted in Master of Finance and tagged Admissions, Application tips, Networking, Tips & Advice, Video Essays, Working Professionals on May 16, 2016 by Breanna. Happy New Year to all future Rotman MBA and MFin students – we hope 2015 will be a healthy and successful year for all of you. Whatever your personal and professional goals are, January is a great time for self-reflection, new beginnings and yes, you guessed it right, those new year’s resolutions! Whether you feel the need to make a big change or you are simply striving to stretch yourself as a professional, use the start of the New Year to set yourself some concrete goals. Be it a specific career move, promotion, professional designation or else, be sure your goals are exciting and something you feel passionate about. Building in specific milestones is a good way to keep yourself on track to make sure you stick to your goals. Make this year a social one! Build new connections on an ongoing basis and not only when you need a network to help you. Set up coffee chats and lunch meetings at the start of the week before you get too involved in your work commitments. Before you know it, you will have built a fabulous professional network that will be there to support you and help you achieve your career goals. Challenge yourself out of your comfort zone to keep learning. At the Rotman School, we pride ourselves on thought leadership and continuous self-development. Our students are exposed to new ideas and ways of doing things on a daily basis through our innovative curriculum, exceptional faculty & peers and vibrant industry events. 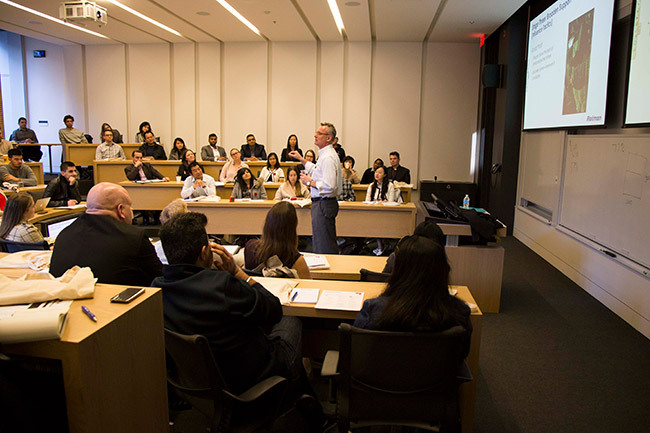 Keep an eye on the Rotman Speaker Series and our exciting Admissions sample classes on the Rotman Self-Development Lab & Rotman BMO Financial Group Finance Research & Trading Lab . 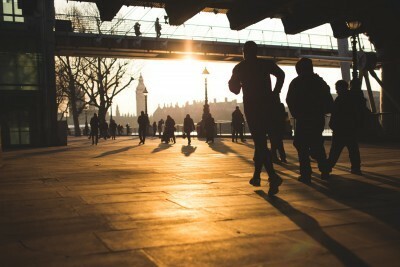 Be it a professional association, Board of Directors or a Charity event – there is so much out there to participate in. These activities can be incredibly meaningful for you as a person and also as a professional by helping you build new skill sets, expand your network and resume while having fun. You may have been thinking of pursuing graduate studies for a while or perhaps you just started considering further studies. In any case, doing your research on what program fits your needs and personal circumstances is paramount. 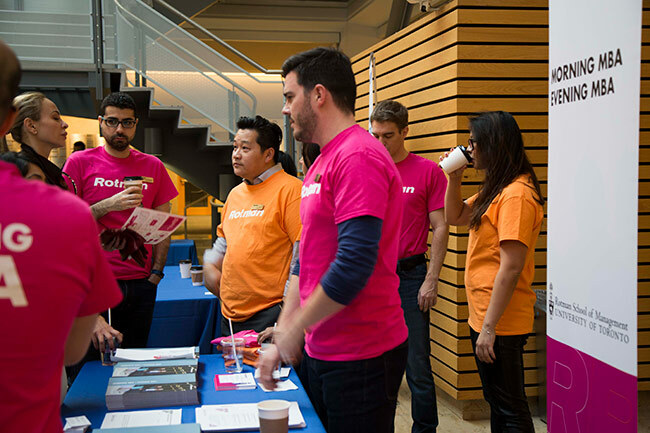 Explore our wide array of programs at the Rotman School and join in the info sessions, coffee chats, sample classes and GMAT prep courses to learn about what is awaiting you as a working professional at our vibrant School. We look forward to hearing from you and being part of your plans for 2015! This entry was posted in Beyond the Classroom, Careers, Master of Finance, Morning & Evening MBA, Morning MBA and tagged Admissions, Events, Networking, Part-Time MBA, Powerful Network, Rotman Gives Back, Tips & Advice, Working Professionals on January 9, 2015 by Eva. An MBA or an MFin? How do you choose? It comes down to your experience and your goals. The MBA will equip you with all round business knowledge, while the MFin allows finance professionals to focus solely on the different areas of applied finance. New entrance awards! We recognize your commitment and dedication as a working professional and announced these entrance awards in addition to those already existing. Entrance awards range from $5,000 to $30,000 each. Tip: the earlier you apply, the greater your chances of securing our new and existing entrance awards. Get the inside scoop on what the Admissions Committee actually look for in your working professional MBA (and MFin) application. Check out these tips from our Managing Director. Want to get a feel for the Rotman experience for yourself? Meet David Goldreich, Associate Professor of Finance at our upcoming sample class on Market Efficiency, November 20. It’s appropriate whether you’re interested in the Morning or Evening MBA or the Master of Finance. Ready to apply? Review our Morning & Evening MBA admissions criteria or our Master of Finance admission requirements. Start your profile and application today! As always, if you have questions about our part-time working professional degree programs, contact us! This entry was posted in Master of Finance, Morning & Evening MBA, Morning MBA and tagged Admissions, Application Deadlines, David Goldreich, Entrance Awards, Events, Part-Time MBA, Tips & Advice, Working Professionals on November 19, 2014 by Eva. We often get asked, “What are the most important factors in assessing an application for a part-time MBA program? 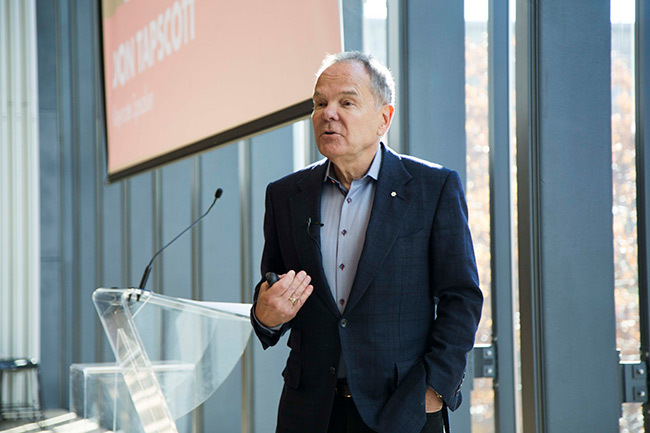 What matters most?” While, at Rotman, we really do look at each one on a case-by-case basis and assess the 7 criteria, together holistically, there are still fundamentals that can help you get a competitive edge in the application process. Your work experience is key. Work experience is often what separates a full-time MBA applicant from an applicant for a part-time program. Our Morning & Evening MBA applicants have an average of 6 years of experience, and want to keep working while they complete an MBA. What we want to see in those years of experience is 1) progression, 2) a CV that focuses on results, and 3) references that support a track record (more on references in a minute). The Admissions Committee will be looking at your work experience in the context of what it will bring to the classroom and the value of the program to you. Good communication skills are essential. You have an opportunity to showcase your communication skills in several ways. Book a pre-qualifying meeting with our recruiting staff, so that we can get an initial sense of your ability to articulate, to listen and to clearly and concisely form your views. A good conversation will be remembered when your file hits the recruiter’s desk. Second, there are 3 essays that offer the opportunity to express yourself in writing. Grammar, spelling and clear writing style is what we look for, along with a solid understanding of why an MBA makes sense for you and a level of self-awareness. Finally, if you get to the interview stage, think about what questions you expect will be asked and how you will tell your story clearly and concisely. References matter. Your two references should be professional ones. At least one should be a current or former boss. The references need to be able to speak to numerous attributes, many of which are work-place related. They will be assessing your analytical skills, teamwork skills, personal integrity and the impact you’ve had within the organization, among others. Take the time to ensure you ask your references in advance if they will be willing to be one, and tell them that specific examples are particularly valuable. In all cases, be genuine. It will make a real difference to how you come across. And, finally, do your research before you attend a session or a pre-qualifying meeting. An MBA is a significant investment and you want the right program in the right school. Plus, your research will reflect a level of seriousness and maturity that is always looked upon positively. The fundamentals discussed here also apply to other professional part-time programs like the Rotman Master of Finance. There’s never a better time than the present to start the process! This entry was posted in Morning & Evening MBA, Morning MBA and tagged Admissions, Part-Time MBA, Tips & Advice, Tuesday Tips, Working Professionals on November 11, 2014 by Rotman ME-MBA & MFin.